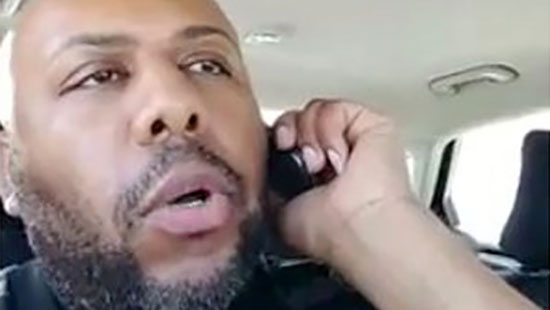 Pennsylvania State Police have confirmed that the alleged 'Facebook Killer' Steve Stephens shot and killed himself after a brief police pursuit in Erie, PA on Tuesday morning. Stephens' vehicle was spotted at around 11 a.m. by a citizen. Police located and pursed him for around two miles. When they tried to pull him over, he pulled out a gun and shot himself. 37-year-old Stephens was wanted for shooting 74-year-old Robert Godwin Sr. in Cleveland on Sunday and posting video of the incident on Facebook. He went 'live' minutes later and confessed to the crime. There was a nationwide search and a $50,000 reward for information leading to his capture and conviction. Erie is about 100 miles east of Cleveland. The family of a Delaware correctional officer killed during a prison riot and other correctional officers and workers held hostage are filing a federal lawsuit today. Officer Steven Floyd was killed in February during a nearly 20 hour-long standoff at Vaughn Correctional Center in Smyrna, DE. Others, including a counselor, two officers, and three maintenance workers were held hostage. The suit claims that the state failed to provide adequate staffing levels and safe working conditions in the prison. In addition to the State of Delaware, the defendants include, former governors Ruth Ann Minner and Jack Markell, Department of Correction Commissioner Perry Phelps and three former commissioners, as well as state budget director Michael Jackson and his predecessors. They are seeking punitive damages and hope for changes in the prison system. An off-duty Philadelphia police officer shot and wounded her husband in the driveway of their Bucks County this morning. It happened around 5:30 a.m. Tuesday on the unit block of Marmic Drive in Northampton Township. He was shot in the abdomen. The man was taken to St. Mary Medical Center in Langhorne in stable condition and is expected to survive. The woman was taken into custody for questioning. She used her personal weapon and not her service revolver. The couple's three children were inside and were unharmed. It is not known if charges will be filed. Phillies pitcher Clay Buchholz had successful surgery to repair a torn flexor tendon in his right forearm. He will be out 4-6 weeks. Zach Eflin was recalled from Triple-A to start tonight vs. Mets. Today is the 30th anniversary of Mike Schmidt’s 500th home run. It happened on April 18th, 1987 at Pittsburgh’s Three Rivers Stadium. The Phillies were behind 6-5 with two outs in the 9th against the Pirates. Schmidt had the green light with a 3-0 count and hit a 3-run home run over the left field fence to put the Phils on top. They won the game 8-6. Watch the replay and listen to Harry Kalas make the call below.